PPOk developed a third party network in 1994 to establish a strong network of high quality independent pharmacies in order to negotiate contracts as a chain of community retail pharmacies for regional and national plans. Over the years, PPOk has had success in negotiating more favorable contract terms and reimbursement rates with PBMs because of central administration and payment, which helps reduce the PBMs' overall administrative costs. In addition, PPOk continues to monitor and be a driving force on state and national legislative issues that have a tremendous impact on independent retail pharmacies, i.e. Medicaid reimbursement, audit, legislation, etc. PBM contracts are a necessary part of the pharmacy business but their legalese and technical jargon can be overwhelming. RxSelect & TriNet pharmacies have access to all of the major PBM contracts and networks. Some PBMs have restricted networks and RxSelect & TriNet work to gain access to these networks for independent pharmacies. PPOk has been successful in gaining access to many of these preferred or limited networks. There are times when PPOk is unable to execute network schedules due to PBM’s aggressive reimbursement rates or egregious contract terms. Rest assured PPOk will not execute contracts that put independent pharmacies at risk! 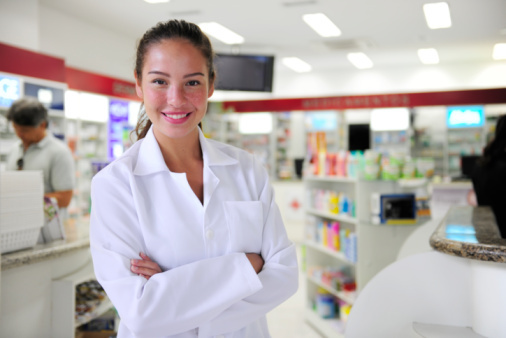 RxSelect & TriNet Pharmacies have access to PPOk’s outstanding and knowledgeable customer service staff to provide information and guidance or to answer questions related to 3rd party contracts, rejected claims, price discrepancies, credentialing, compliance training – essentially any question a pharmacy may have! PPOk provides direct payment via EFT to RxSelect & TriNet pharmacies for PBMs that participate in our central payment program. Central payment significantly reduces time lag from date of dispensing to date of payment and reduces the risk for “lost” or “stale dated” checks. Industry average time lag for 3rd party payment is over 34 days while PPOk’s program is less than 22 days. PPOk has systems in place to ensure that all payments are processed timely and accurately. PPOk’s philosophy is “money in….money out, same day.” PPOk does not “hold” or “sit on” disbursements to the stores. Payments are typically made 4-5 days a week. Most PBMs and 3rd Party Payors contracted with RxSelect participate in this program. Central Pay for TriNet pharmacies is currently limited to Prime Therapeutics and MaxCare PBMs. PPOk has developed reconciliation programs for RxSelect & TriNet Pharmacies to assist with reconciling claims electronically. Pharmacies must be enrolled as an RxSelect or TriNet Network Pharmacy and either use RxLinc as their switch provider or provide us with daily claims data via other switch provider or software vendors in order to participate in this program. The MAC/Drug Pricing Discrepancy Department’s primary responsibility is to ensure that pharmacies are receiving adequate reimbursement for claims being processed by our contracted PBMs. This department continuously monitors drug acquisition price data from price files provided by major wholesalers. We use wholesaler provided acquisition data to identify claims that pay below cost. This information is forwarded to each PBM for review of proper reimbursement on a weekly basis. Our program is automated, and requires no additional effort from RxSelect & TriNet pharmacies. Pharmacies must participate in RxSelect or TriNet, and either use RxLinc or provide us with daily claims data via other switch or software vendors to have claims included in this program. PPOk’s audit division – RxProtect - is a comprehensive solution to assist pharmacies with PBM audits. Our audit solutions focus on preventing audit recovery by providing you and your staff with up-to-date tools and information that work together to mitigate billing errors and improve compliance with prescription documentation requirements – State, Federal, and PBM specific. PPOk actively works with Mirixa to expand independent pharmacies access to Medication Therapy Management (MTM) Programs. Pharmacists can log on to the MirixaPro platform at www.Mirixa.com to view and manage the cases that have been assigned to them. For general and technical assistance, or if you’d like to receive additional training, log into your MirixaPro platform account, visit the training and support area, and click on “Contact Support.” If you cannot remember your username or password, click on “Need Help with Username or Password” on the sign-in page, and it will be emailed to you. You can also call Mirixa at 866-218-6649 8:30 a.m. - 5:30 p.m. ET, Monday through Friday for assistance. To access the patients that have been assigned to your pharmacy, you will need to complete Mirixa’s “Pharmacy User Access Authorization.” Please click on the link below to download the form. Once completed, please fax to it to Mirixa at 703-865-2198. For additional assistance, contact Mirixa Support at 866.218.6649. Dealing with all of the different PBMs, Insurance Plans, and Private Payers can be challenging and overwhelming. The amount of time it can take a pharmacy to contact a PBM Help-Desk in order to receive assistance in claims processing and correct claim payout can be frustrating. If you are unable to get a satisfactory response from the PBM’s Pharmacy Help-Desk, you can always rely on PPOk to advocate on your behalf. When your questions require one-on-one attention, trust the PPOk Team to listen, make appropriate calls, and provide assistance to resolve third party issues to your satisfaction. As part of our partnership, PPOk RxSelect pharmacies will receive special pricing on the products and services Amplicare offers. Third Party Contracts, including Preferred Network status for SilverScripts! All Pharmacy licensure (state, state narcotic, DEA) must be active and in good standing. Pharmacy Owners and Pharmacy must have a clean credit history. Pharmacy must be predominantly a retail pharmacy with less than 30% compounding, and less than 25% mail. Retail pharmacy is defined as a pharmacy that primarily fills and sells prescriptions via a retail, storefront location and is open to the general public and has street visible signage on the outside of the building where the pharmacy is located. Pharmacies who do not meet requirements listed above may be considered for enrollment at Management discretion to meet business needs. Pharmacy is in a rural setting and patient access would be compromised without the pharmacy’s participation. The Pharmacy has a low likelihood of using mail order to dispense/deliver prescription medication. The Pharmacy is part of a larger group owned by the same entity (ie., corporate ownership of multiple stores) and the total compounding or mail order % of the entire group does not exceed PPOk’s participation requirements.